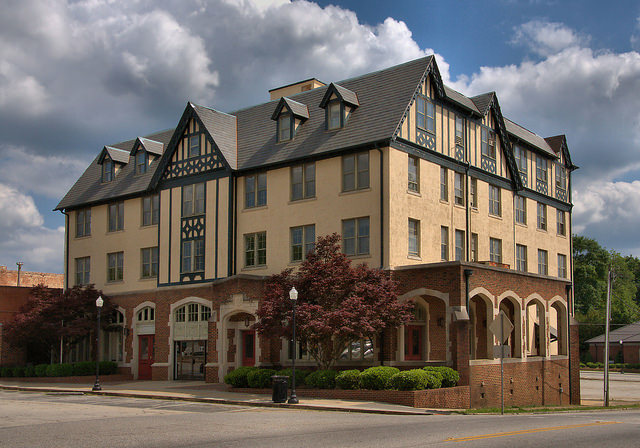 Among the most unique of Georgia’s remaining old hotels, the Samuel Elbert has been a fixture on Elberton’s beautiful town square for 90 years. As recently as last year the city council was exploring restoration and potential use for the landmark, but I’m not sure if they’ve reached a consensus on the project. Yes. Renovations are underway for the hotel. A $4.9 million bond obtained by the City of Elberton with the Downtown Development. It is financed through Northeast Georgia Bank in Elberton. Payments on the 15 year Amortization Bond are to be paid by the revenues and from the General Fund for Evonomic Development. It will be a 27 room hotel and restaurant with a bar. It is expected to be complete in October 2016, but could be completed as soon as August2016. The hotel has been recently restored. It’s a unique and great place to spend the night.